How to do payroll in QuickBooks 2014. Just follow these simple steps to do so...! Home » News » How to do payroll in QuickBooks 2014. Just follow these simple steps to do so…! How to do payroll in QuickBooks 2014. Just follow these simple steps to do so…! QuickBooks Payroll is acclaimed software for accounting that provides complete and comprehensive solutions for payroll. From managing employees to paying taxes, QB payroll has got everything covered. Moreover, this software can be integrated with QB Desktop for better analysis of payroll data. Multiple subscription plans are available for making the service completely customizable. 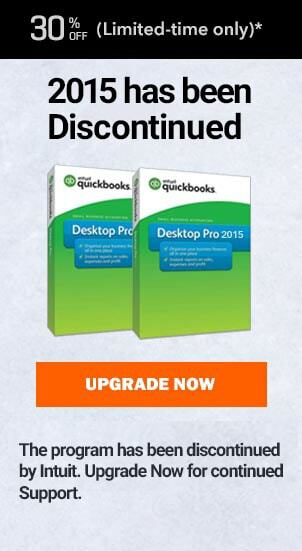 Subscription isn’t automatically updated in QuickBooks 2014. Once payroll subscription has been purchased, users need to activate it by going into settings. For activating payroll, users need to input the registered email address along with product key. The product key is sent via email by Intuit. Users can also purchase payroll subscription from third party QB retailers. Make sure to collect your product key while purchasing QB payroll from a retailer. Intuit also provides an Automated Service Key/Disk Delivery tool to help users in acquiring their service key for QB Payroll. Users can log into the tool with a registered email and password. Once you log in, you can view the service keys for all your subscriptions. Select Employees from the top menu. Enter the service key you received from Intuit or QB retailer. It would be a good time to add or import payroll files into QB desktop. In case this is your first subscription of this service then click next. Confirm the pop-up and click finish. Once QB verifies your subscription, you will have full access to the service. Payroll service in QuickBooks renews automatically. Make sure to cancel the subscription if you do not want to continue with the service. For cancellation, Intuit provides a separate tool. Small organizations often suffer due to the exorbitant cost of payroll software. QuickBooks Payroll is no different and can make you pay through the nose. QB payroll is designed specifically for handling payroll related tasks but similar functionalities can be used in QB without purchasing a subscription of QB Payroll. Users can manage payroll manually with QB. While QB Payroll automates most of the process, manual payroll can be time-consuming. On the other hand, manual payroll can be set up for free in QuickBooks. Small organizations can use this feature of QB in order to save a ton of money. Further, setting up manual payroll will still allow you to run analysis on this data through reporting. You can apply filters to templates before running reports. These filters can be saved in QB. In addition to this, users can also download customized and industry specific templates for better analysis of payroll data. This isn’t a viable option for large or even medium sized organizations. For proceeding with manual payroll, users need to have a subscription of QB Desktop. Manual payroll can be enabled through all the plans of QB desktop such as pro, premier, and enterprise. Select Help from the menu. Users who can’t access their menu can toggle it by pressing alt option on windows and command on Mac. You can also press F1 to access the help menu in QB. In the search box provided, make a search for “Manual Payroll”. Upon completion of the search, you will be provided with various options. Among them select the option that says “Calculate Taxes for payroll, Manually. A new window with an article about manual payroll will appear in QB. Inside the article, click on the link titled “without payroll subscription.” This is a much shorter way of accessing the settings for manual payroll in Quickbooks. Now, click on the link for Calculations Settings. 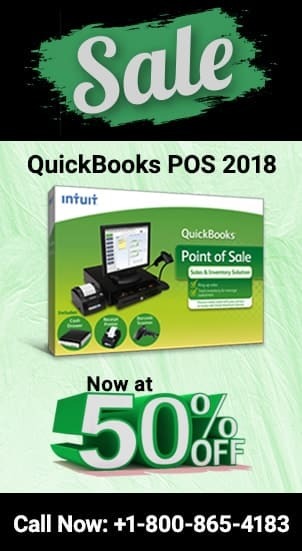 Set the appropriate desired settings for manual calculation and computation of payroll and hit ok.
Once Quickbooks restaurants, you will be able to manually calculate and compute at least the payroll data. For automating payroll users would be required to purchase a subscription of QuickBooks payroll. QB payroll has other benefits such as inbuilt tax calculator. Users can also purchase tax forms and envelopes. Further, QB Payroll automatically fills up all the tax forms. In addition to this, various payroll specific templates can be found and downloaded for running reports. Complications can arise while using manual payroll alongside a subscription of QB Payroll. It will behoove users to resolve this issue as it can cause substantial damage to their database. Further, there is a higher chance of encountering inaccuracy when using manual payroll alongside QB payroll. Also, users with an active manual payroll setting won’t be able to activate their subscription through QB desktop. Select the Edit menu. Click on preferences. Select the company preference tab from properties. Cloud users might have to face a whole different set of complications. For one, many users may have to download their entire company file in order to activate manual calculations in QB. Users who have both their company file and software hosted on Quickbooks won’t have to face any such complications. You can contact your hosting provider for resolving any complications regarding altering settings in cloud hosted QB. Avoid exorbitant costs by setting up manual payroll in QuickBooks. If you face any issues then get all the help by calling Intuit Canada support number at ✆ +1800-940-7442 . Is there any possibility that I can fix Quickbooks error 15241 myself? What does it mean when Quickbooks says that you are facing Qb error 6177? What is Quickbooks error code 6150? How to Enter Physical Inventory in QuickBooks pro in 2017 and beyond. How to Print reports in QuickBooks pro and enterprise version of QB 2016-17…? It’s just about a week that I bought Quickbooks for myself. Since I am completely novice, I had no idea how to go about using Quickbooks. Though I should not say, Intuit’s support is really bad. I kept on calling but there was no one to answer for two days back to back. When I was about to quit, i was referred to you by my friend who was already using your services and not I am glad that she shared your number. So far, you guyz have been a lot helpful. Thanks for your awesome help. We are glad that we were able to help.